This kit went together very easily. 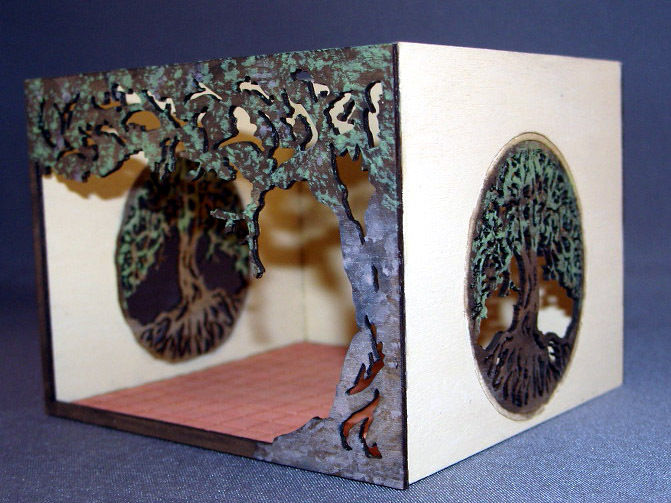 The detail in the trees is truly amazing and makes this roombox pure fantasy! I made mine into a winter roombox. Using a toothpick I placed "snow" and a little glitter on the tree limbs and the trees look just like they do after the snow falls.